CRIME-Melody and Frollo. 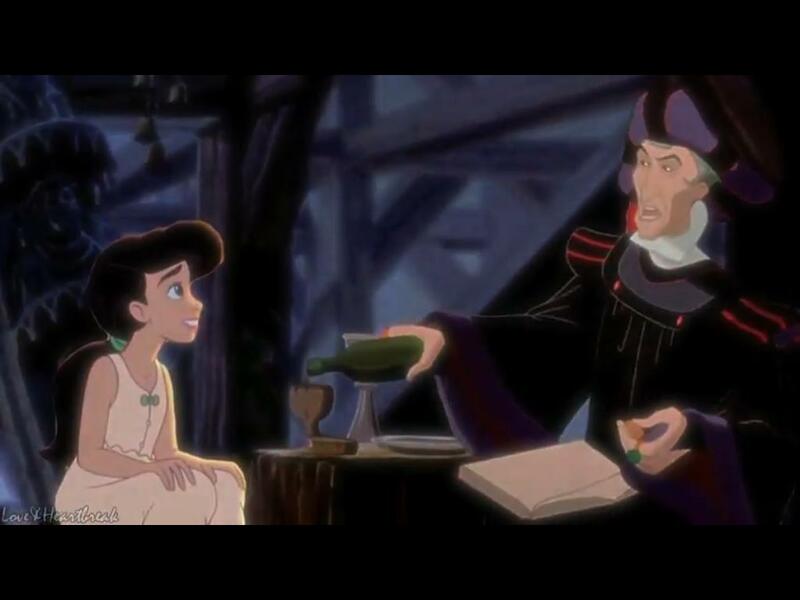 Yep Frollo is giving a little girl a drug it's a crime. HD Wallpaper and background images in the Young Heroines of Disney club tagged: melody. This Young Heroines of Disney Screencap might contain anime, truyện tranh, phim hoạt hình, and manga.